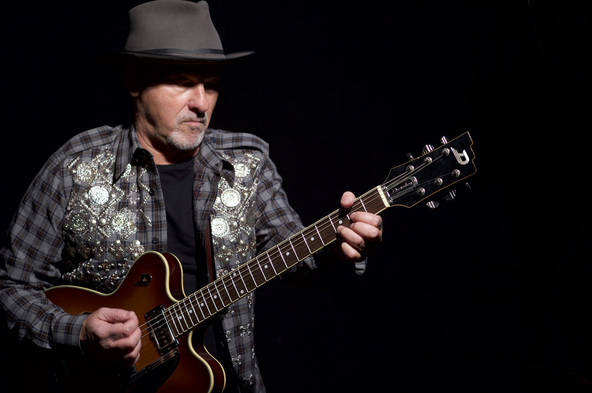 Ever in-demand musician's musician, Paul Carrack is striding into 2016 on a hot streak of creativity that shows no signs of slowing down. Soul Shadows, the new album by this much-loved vocalist, songwriter and multi-instrumentalist, is a genuine landmark in a career that's been full of them for more than 40 years. It follows directly from Carrack's starring role as a member of Eric Clapton's touring band, handpicked by the guitar legend just as he has been over the years by everyone from Elton John to B.B. King, Roxy Music to Ringo Starr, the Pretenders to the Smiths. 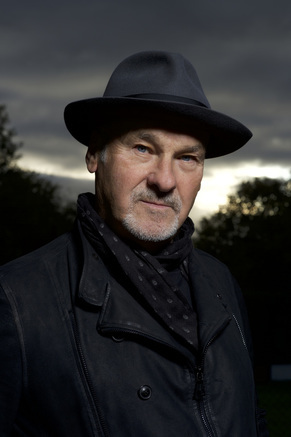 Sheffield born, Carrack is probably best known for 'How Long’ with Ace which was a big hit in the UK and an even bigger hit in the US in 1974; along with Squeeze's ‘Tempted’, and the Mike & the Mechanics anthems 'The Living Years' and 'Over My Shoulder’. With his solo work becoming more and more popular, he says "I just write what I can and hope people like it." As he prepares to cast his new soul shadows, that's a guarantee. I manage to catch up with Paul, just ahead of his appearance at the Cliffs Pavilion, to find out a bit more about why he chose the Southend theatre as a venue for a tour stop; and where he also reveals to me who he would love to write a song with - if only he wasn't so awestruck by them! I love your new album, Soul Shadows, it sounds great and I imagine that it’s going to sound even better live, how do you go about choosing which songs to perform on a tour and is the set list always the same for every venue? It's quite difficult because we have so many songs to choose from but it's about getting the balance right between the old songs that most of the audience are familiar with and the new songs from 'Soul Shadows'. Obviously people come to the show to hear their favourites like 'How Long', 'Over My Shoulder', 'Living Years', 'Eyes of Blue' etc but it's important to keep things fresh with new material, which we try to do ever year. Fortunately all the songs from 'Soul Shadows' work great live and are going down a storm. Will you be having any guests joining you? Nothing planned but we are considering making our show at the London Palladium on March 3rd a bit special. Last year I was joined by Nick Lowe and Andy Fairweather Lowe for a short acoustic set which was great. Your son, Jack, plays drums in your band which must be great. Does Jack have a big influence on your music choices? Not really. The old man's still in charge but he's part of the furniture now and a great guy and a very good musician. Getting better all the time. Having played with so many other groups, Mike & the Mechanics, Squeeze, The Eagles, for example, it must feel great to have been - and still to be - in such demand over the years. Have you ever turned down a job that you wish you hadn’t? The one thing I regret turning down was 'The Concert for George (Harrison). Eric Clapton was organising it but unfortunately I had already committed to my own shows and didn't feel I could pull out of them. For someone who has done so much and who has such amazing musical talent, you seem to be pretty down to earth but what’s the most ‘showbizzy’ thing you’ve ever done? My private life is pretty boringly normal. I'm a family man and we're not really very showbiz. What was it like taking over from Jools Holland in Squeeze? Fortunately I wasn't aware how popular the band was or I might have been more intimidated. It was a little bit of a culture shock at first because, like every great band they had their own identity and way of doing things. They had some very strong personalities but it was pretty exciting and I had a great time with them. You play keyboard, guitar, bass and drums, what’s your favourite instrument to play? Well on a good day it's my voice because that's the most expressive. After that, Hammond Organ because it's a great sounding instrument and if you know how to work the thing even a simple part can sound great. You’ve done so much but do you still have any unfulfilled ambitions? Only to continue doing what I do and one day make the best album I believe I'm capable of. You’ve worked with the likes of Eric Clapton, Elton John, B B King to name but a few, but if you could pick any one person to write with, who would it be? Probably Stevie Wonder but I really think I'd be too in awe to come up with anything. What advice would you give to young musicians looking to start out in the business these days? The business has changed so much since I started that I think they would be giving me the advice about all the social media etc. For this tour you’ve picked 34 of your most favourite venues, what was the reason for Southend’s Cliffs Pavilion? It's a great crowd that we seem to get there who always seem to be up for a good night. Plus the chippy over the road isn't bad!